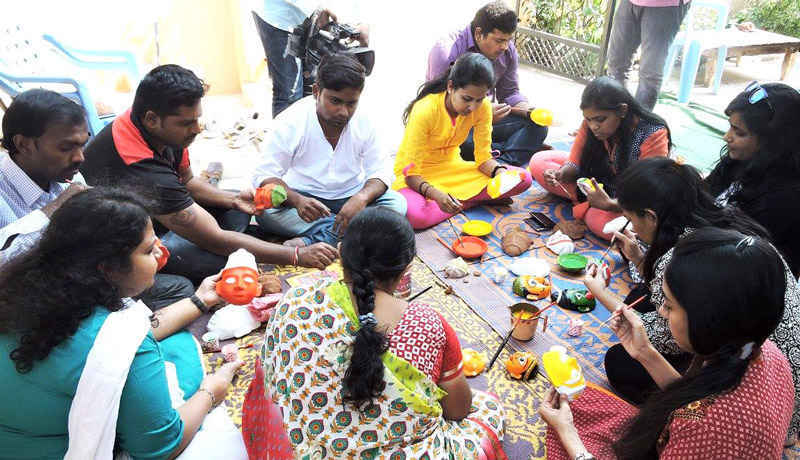 Happy Hands works to revive traditional and folk arts; aiding artisans in building creative enterprises and has recently branched out into heritage education based work. 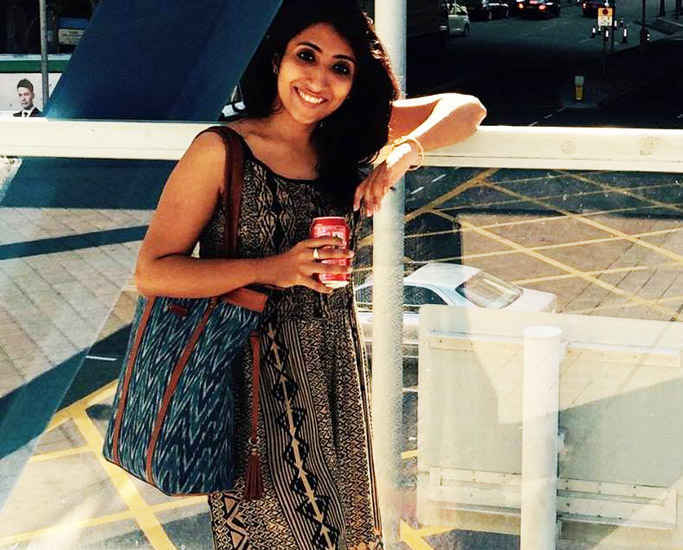 Here we are in conversation with its dynamic founder Medhavi Gandhi who tells us all about her journey! Read on. Where did the inspiration for such an organization come from? I found my inspiration in all the artisans around me - who I was meeting with and spending time with. Everything they were making was so beautiful, and still this was unable to give them the social standing they deserved as &apos;artists&apos;. There were so many tribal traditions, folk stories that were unheard of, and artwork that was representative of tribal beliefs. Many artisans were willing to sell their work not for its value, but at a price which would fetch them basic subsistence! When one of the sons of a lac bangle maker said he never wanted to do what his father did - that was my inspiration! I resolved that one day, this son would be running a lac bangle enterprise, earning much more than what his father did, and his son would never dishonour his profession this way. Happy Hands wasn’t a planned thought on which I brooded - it was something I knew I wanted to do almost as instantly as the idea occurred to me, and I resolved to work on it immediately after graduating. Of course, in the process of working on my idea, I met some very hardworking women and even though they were not Indian, had learnt the local language and were away from their families working to train artisans to help them make better designs. It was that moment that I asked myself, “Why aren’t we recognizing these crafts?”, and this is what led to what we are today! Midway through my work, I also came to know about Kamala Devi Chattopadhyay - a pioneer in her own way, and if it weren&apos;t for her vision, we would never have had an NSD, or the Performing Arts Museums or even a Crafts Council! It is her vision that left a legacy of recognizing culture. She is my inspiration and by continuing her work, even now, I aspire to leave a legacy of culture and innovations in art, for the generations to come. What are some of the oldest art forms that really need preservation? 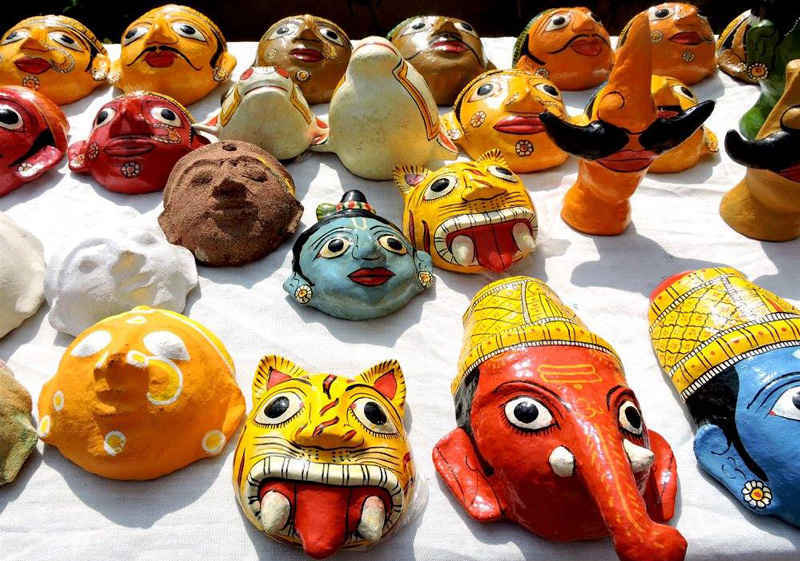 I feel crafts like the Cheriyal Mask Making and Folk Painting need attention, given only a handful of artisans remain who practice this art. Apart from that, narrative-based arts such as Kaavad & Patua Scrolls etc., need to be leveraged as we’re definitely being deprived of some really creative storytelling, and given that TV shows and entertainment has reached even remote villages, the art of storytelling hardly finds space in people’s lives. What do you think has been your biggest achievement since the foundation’s inception? I think I consider the fact that we’ve managed to work through more than 35 clusters in the last five years is in itself a great achievement! I’ve also had the privilege of representing Happy Hands and India at many reputed national/international forums, and in general the love and respect people have given me (in villages and in urban India) is my reward. What is the biggest challenge you face while reaching out to artisans? A common issue is the language - but we’ve figured our way around it now. Being from North India, it isn’t very easy to pick up dialect-oriented accents or understand South Indian languages. Happy Hands has mostly worked in Andhra & Karnataka etc., so that barrier we did face, but overcame it with laughter, charades, Pictionary and some broken English words! Today, of course, we have our field officers who help us with establishing better communication! Can you tell us a bit about this concept of a ‘Travelling Museum’? Heritage is the evidence of our history that&apos;s found in the ideas and things we have created, the traditions we keep and the environment we have inherited. The Traveling Museum retells history through crafted items and paintings which are essentially high-quality replicas created by artisans. The Museum is meant to enhance the educational experience through narrative exhibits of historical episodes or regions. A lot of times we don’t visit museums because we’re not curious enough about things. Our thought is to bring glimpses of the museum to the people, so they may want to go to one! How it travels: we’re curating 20-30 minute interactive narratives as well as 40-60 minute ones which we plan to take to schools, corporates, public spaces & cafes. On a personal note, what is your favourite aspect of Delhi’s culture and heritage? In Delhi, there are several mini-culture hamlets. Be it the Potters’ Village in West Delhi or the fancy wood craft you can see at Seelampur amidst its many lanes; or for that matter, even the kite-makers at Old Delhi. 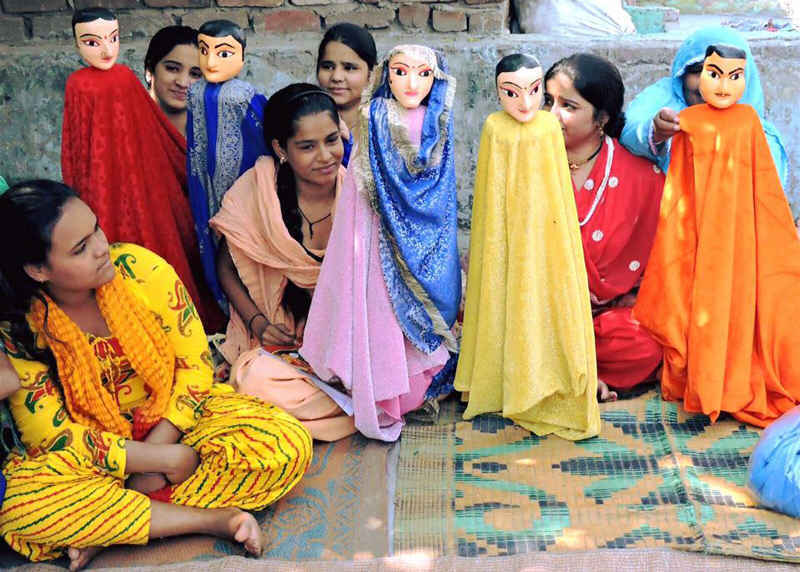 Delhi is home to one and all - and now, places like Mehrauli and Noida have become hubs for Madhubani artisans and Sikki weavers migrating from Bihar! Of course we have some picturesque monuments too, but my favourite remains the city’s culture zone around Mandi House. Each time I visit that space, something changes in me, especially the fervour that exists during the Bharat Rang Mahotsav. Cultural performances, plays, quaint cafes - it’s a small world within the massive Delhi. Having grown up in Delhi, what are your favourite hangout places in the city? I love the peace of Sanjay Van; and I have some fond memories from the tomb of Jamali-Kamali; my favourite hangout remains the Triveni Cafe! The fact that only here can Chandni Chowk be as frequented as Select Citywalk is what makes Delhi totally &apos;So Delhi&apos; for me! How can our readers and Dilli denizens get involved with Happy Hands Foundation? Thanks Medhavi for that fascinating glimpse into the many pockets of culture that Delhi holds, and your tireless efforts to bring traditional art forms to the fore!